I love butterflies so I was immediately drawn to your card Linda! Thanks so much for playing along with us @ TGIF Challenges! I love that butterfly too! I am also really liking your monochromatic color scheme. Thanks for joining us at TGIF! 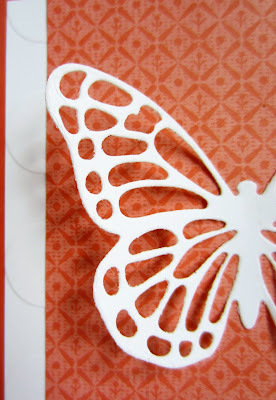 That butterfly is gorgeous...so intricate and fun. Thanks for sharing with the Thursday Blog hop! 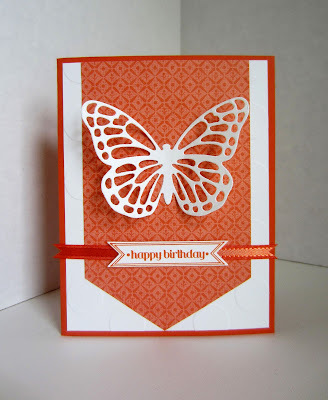 I love your lacy Butterfly, your card is beautiful! I need to get out some paper and make a few new cards! Such a lovely card. Thanks so much for sharing at Idea Box! Gorgeous Linda! You do such incredible work. Thanks for linking up, I can't tell you how much I appreciate it! This is beautiful! I always love a well crafted card, and this definitely fits the bill! I'm featuring you tonight at Do Tell Tuesday. Beautiful!! Thanks for Sharing on My 2 Favorite Things on Thursday - Link Party!! Hope to see you tomorrow!! Pinned!! Beautiful card! So creative. Thanks for sharing at Inspire Me mOnday.